Almost all success stories have them: the multiple rejection letters, the naysayers and the failures that push people to quit. S&H Fashion founders Julie and Sally Ang were no exception, having had their take on the bitter part too. It may sound counterintuitive, especially for a tropical country like the Philippines to have a young, emerging brand capitalize on a fashion staple that may not even be worn on the streets of Manila. But the sisters were persistent. After all, having launched four brands, there’s nothing quite like experience as a teacher, and their wisdom ultimately led their shoes to places they’ve never imagined. On one of their first bazaars alone, S&H Fashion was swarmed by ladies from all walks of life, intrigued and interested for something that fit their budget. And they weren’t even at a prime location then. 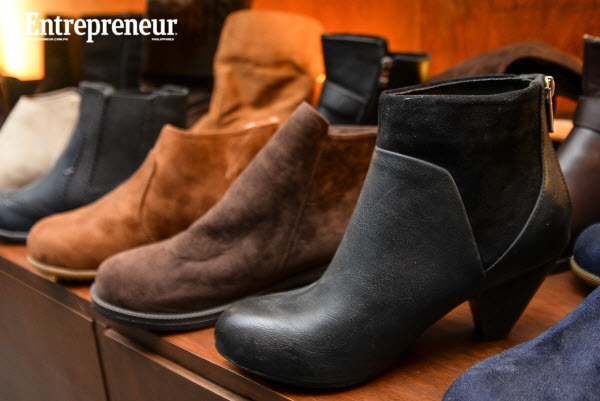 “I noticed that many brands had the same usual style of shoes, but none have boots. If there’s any, it’s usually expensive,” Julie explained. For their first collection, S&H introduced 10 shoe styles, including its best-selling boots that are still being produced until today. Ladies’ flats usually retails for Php 500, but their boots are sold for only Php 1500, cheaper than what most brands sell for Php 2000 and up. Since then, Julie made sure to always book prime locations during bazaars for better sale. If their first order of inventories for S&H only had 60 pairs for almost 10 styles, this quickly surged to almost 100 percent just to keep up with the demand. “For our first Supersale Bazaar in World Trade Center, we prepared 700 pairs. But after a great sale for our first day, we quickly increased our inventory to more than 1000,” Sally added. The brand’s early strong online presence also gave it youthfulness and trendiness, qualities their market is aspiring for. They tapped top bloggers to wear their brands, serving as their models and ultimately reaching the young ladies that want their styles. 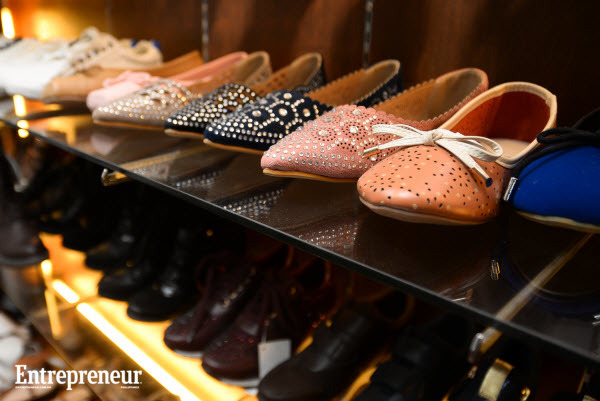 The sisters wear all shoes that they launch to the public for a day first, just to ensure quality. If they can’t use it for a day, then that design will no longer be pursued. This strict compliance for certain standards unavoidably turn to losses, especially when the manufacturers churn out products that aren’t at par to the quality they promise. 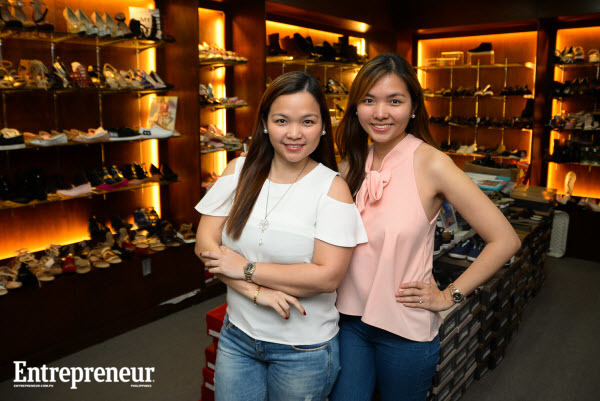 While both hold no fashion design degree (Sally is a culinary arts graduate, while Julie finished with a business administration degree), their passion for shoes and commitment to quality gave them enough guns to build and grow the business. Besides, they’ve always been entrepreneurial, that even in their youth, they had multiple sidelines. Once they’ve established the quality and design they wanted their brand to pursue, Julie didn’t wait any longer for the big leagues. On the sixth month of their operations, the S&H co-founder tried its chances to enter the Landmark department store. Like a veteran, Julie picked to launch on a December, just in time for the holiday rush. S&H had less than 10 styles, with limited inventories. On their first month, they were sold out and that trend didn’t stop until all the others started to ask: what is this brand? The brand’s early aggressiveness didn’t come without costs. It meant more people, more inventories, and ultimately, more work. From 2012 to 2013, they had 10 bazaars in a year, occasionally they would have three events in a month. Their workforce quickly grew from the little five-man team of their early months to almost 50. Ultimately, all hard work paid off for the young, shoe brand as S&H is a usual contender as one of the top brands in the department store. By 2012, SM Department Stores already came knocking. S&H is now available in 33 SM Department Stores nationwide, with eight more opening until 2017. Family businesses usually either turn into epic tales or epic disasters. The Angs credit their strong bond and working relationship to one thing: humility. This easily transcends to how they handle their business dealings. While their growth has grown exponential, they always make sure to come back to their roots and listen to what their customers say. 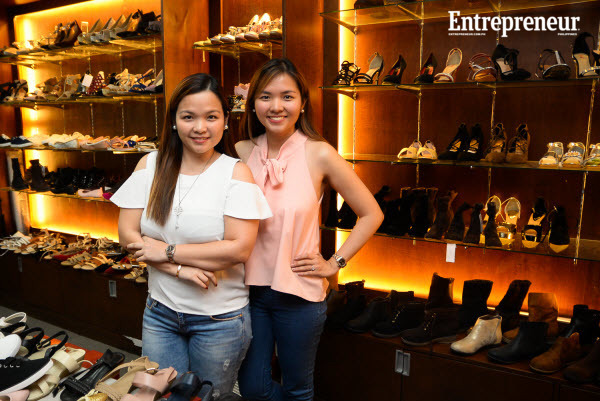 Their constant ear for feedback led them to launch a shoe line for kids, landing their first celebrity endorsers, Cheska Kramer and her two daughters, Kendra and Scarlet. The brands’ fans have long hoped for pairs that they can match with their daughters’ outfits, and S&H obliged, just in time for their fifth anniversary. “We celebrated the brand’s fifth anniversary with a show in Mall of Asia in November. We never really imagined that the brand will go this big, so the event was a cap-off to our hard work,” Sally said. The last five years were a marathon for the Angs, but the race isn’t done yet. Already, there are offers for the brand to go overseas, and SM is still pushing them to be in its every mall branch. In hindsight, the founders could have easily given up to their entrepreneurial journey especially with four of their shoe brands already flopping.